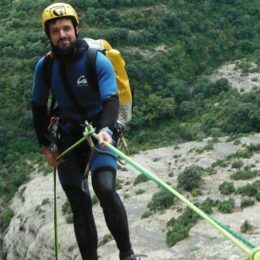 Julen, An AEGM certified guide, wants to take you on a full day adventure to the Furco Canyon and Via Ferrata of Sorrosal in the amazing Pyrenees Mountains. 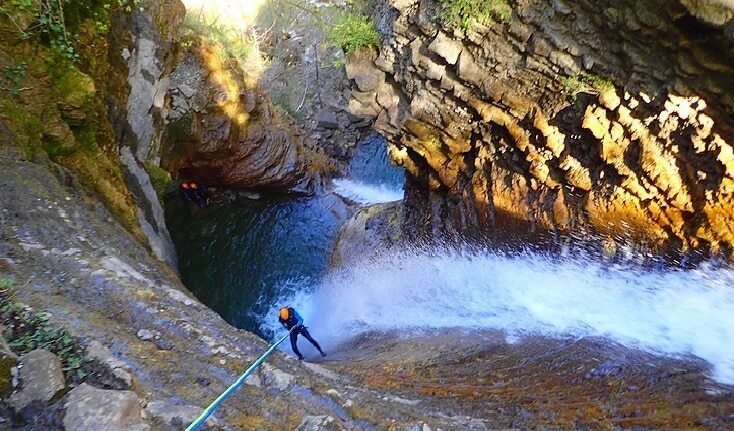 Come, join me for a full-day of canyoning at the Furco Canyon and the Via Ferrata of Sorrosal. These gorgeous landmarks reside inside of the spectacular Pyrenees Mountain Range. And are not to be missed. Firstly, in the morning, the Furco Canyon will offer you an enthralling adventure. A demanding descent, this canyon will present you with pure excitement. From 3 abseils ranging from 10 to 22 meters, to an optional jump of 8 meters, along with funny slides throughout, your heart will be pumping. Secondly, in the afternoon, we will venture to the Via Ferrata of Sorrosal. Sheer beauty awaits as you cross over an incredible Waterfall in the Sorrosal Canyon, located in the Broto Village. Much less demanding than the Furco Canyon, this portion of the trip will be far more relaxing, allowing you the chance to take in the surroundings. While a varied trip, this full day adventure is still perfect for the entire family. The only requirements are 12 Years of Age, an Ability to Swim, and a Normal Fitness Level. So come and spend an entire day in the canyons of the Pyrenees. Walk, climb, jump and descent through this awe inspiring environment. 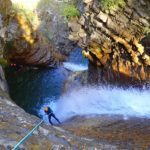 And if you would like to enjoy a shorter half-day of canyoning, you can come with me on this trip. 9:00 am at the Arazas restaurant in Broto. A photo album will be presented to you at the end of the adventure. Don't forget to bring a swimsuit, sport shoes or walking boots (they will get wet), water and picnic lunch, towel and change of footwear, hair tie for people with long hair, and for people with glasses, please bring a glasses case or retaining cord.